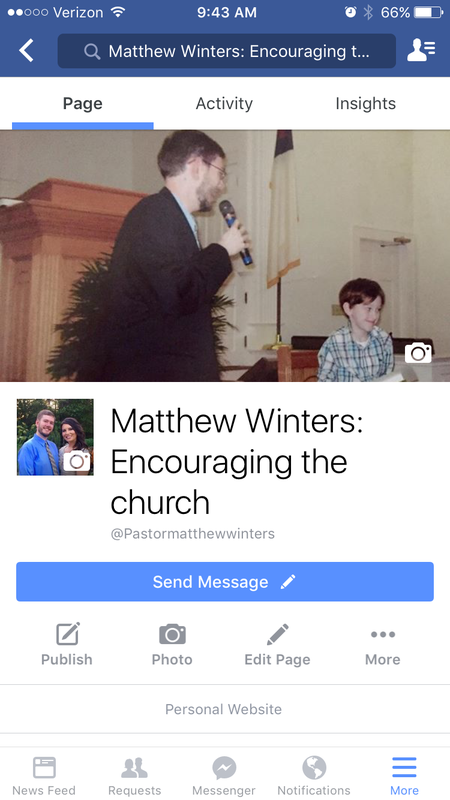 A few weeks ago, I made a decision to close out my Facebook ministries page (Matthew Winters: Encouraging the Church – http://www.facebook.com/Pastormatthewwinters). However, I receive quite a bit of traffic in the two weeks Facebook gives you before permanent deletion. With that in mind, I will keep it going. It is easy to get caught up in the numbers game, but I am trusting that God will use it even if it only reaches a few. I do have a number of people who follow that who do not follow me on any other social media. I want to use whatever means to minister encouragement to as many as possible. I encourage you to follow, invite friends, or just stop by once a month to see what’s going on. God bless you today as you have set this time aside for worship! In this life we may never know how far the impact that we make on one life goes. It is like throwing a rock into a pond–it radiates out. The person we help will help another, and that person helps another….and it goes on. God sees the difference each person makes in the Kingdom, and He values it, always. Be blessed!